Vivametrica CEO Dr. Richard Hu was recently interviewed by Raju Mudhar for the Toronto Star. In this article Dr. Hu provides insight on the wearable device market, health and wellness data analytics and corporate wellness. 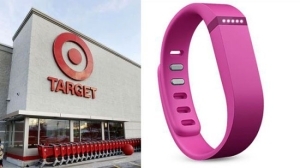 Read the write-up on the deal between Fitbit and Target, one of America’s largest retailers. Retail giant Target said it is working with Fitbit to offer activity-trackers to its 335,000 employees. The statement on Target’s corporate website said it will give each employee a free or discounted Fitbit activity and sleep tracking device as part of its Fall FitBit Challenge. Fitbit and Target will work together to design further programs around the devices, according to Amy McDonough, director of Fitbit Wellness and who oversees the corporate services business.